Indie Author April – Tyrean Martinson + Giveaway! 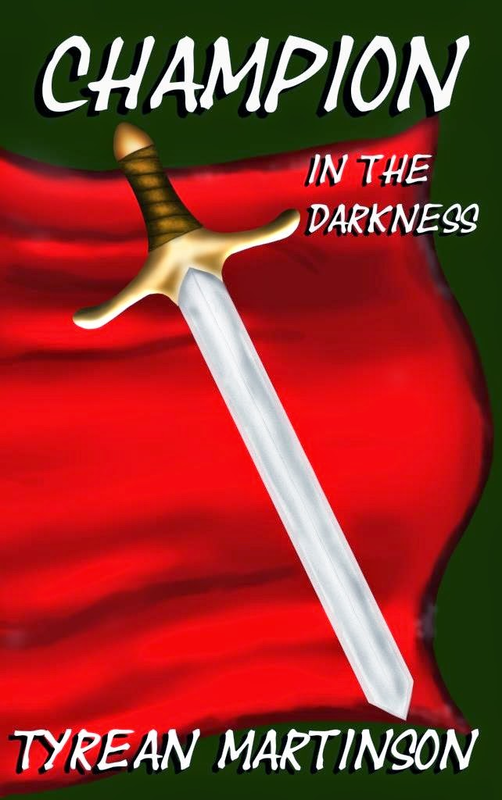 My first two novels, Champion in the Darkness and Champion in Flight, follow the action-packed journey through doubt and into faith of Clara, the youngest Champion in the history of Aramatir. The third novel in the trilogy, Champion’s Destiny, will reveal another layer to her story and include a climatic showdown with the Dark Sisterhood, but it will also open the doors for more books of Aramatir. I started out with a heroine and a sword, and I’ve found a whole world of characters I love. I’ve also put together a few collections of short stories and poetry, Dragonfold and Other Adventures, and Light Reflections. And, then, this year, I’m on a huge push to get some of the work that’s been foundering on my laptop out into the world including a collection of writing prompt books: A Jumble of 500+ Writing Prompts in e-book, a Pocket-Sized Jumble of 500+ Writing Prompts (paperback), and two Jumble Journals; and some writing curriculum books that I’ve used for my home-school co-op writing classes: Dynamic Writing 1-3. I’ve used Kindle, Smashwords, CreateSpace, Nook Press, Lulu, and Kobo. I like each of them for different reasons. Kindle is an easy platform with checks and balances. Smashwords and the Smashwords Style Guide are invaluable tools for knowing that the formatting of an e-book is just right. Kobo was harder for me to learn, and took longer to upload, but I think it reaches a different audience than Kindle and Smashwords. Nook Press provides a way to upload e-books for the B&N site, again, gaining another audience – although Smashwords books also show up at B&N after about a month. Createspace and Lulu are the only print-on-demand services I’ve used, and they also have their pros and cons. Createspace is fast, and there are a number of helpful pages for understanding how to format the interior and cover of a book. I learned a great deal with the first book I created with Createspace. Also, Createspace offers a print and on-line proof process, and once the book is proofed, it goes to print via the Createspace store within a few minutes to a few hours. Shipping is fairly fast, too. Lulu has many of the same options as Createspace, but the platform uploads at a slightly slower rate. Lulu only offers an online proof process and not a print proof; and although the books may be uploaded to the store website right away, the print-on-demand and shipping process is slower than at Createspace. However, one feature I really like at Lulu is that I can order a “private” print run; this is a way to either do a print proof or to create books that I don’t plan to sell on the marketplace like the books I create for my home-schooled co-op students at the end of the year with selections of their work. 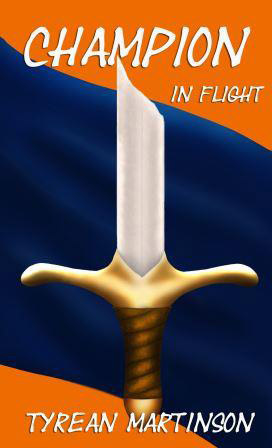 Two reasons: I didn’t know all of the small press options out there and I couldn’t seem to find an agent or a press that might be interested in Christian Fantasy fiction, especially Christian Fantasy fiction for YA readers with a strong, sword-wielding heroine. When I first wrote Champion in the Darkness, it seemed like Christian Fantasy books only had heroines who could knit, pray, or prophesy. The fighting was all generally left to brawny guys on white horses. So, I felt like my book with a young swords-woman wouldn’t fit in the traditional path. After a great deal of research into agents, presses, and indie publishing, I went straight to indie publishing without writing a single query letter. I’ve received editing help from a teacher, a gardener, an engineer, and a kind friend; and I work on editing myself. I’ve also had a few critique partners. However, I still have found some embarrassing mistakes after publication, and those are especially embarrassing since I teach writing to teens and I’ve taken college level (400 series) grammar. With cover design, I’ve had some beautiful artwork created for me by my niece, and I’ve found inexpensive art that I’ve learned to manipulate and use for creating my book covers. Although I have tried a few paid promotional services and may again, I have done most of the promoting myself. It’s hard, constant work, but I just keep at it. Despite feeling shy, I’ve approached bookstore owners, home-school co-ops, and a few Pastors with my books. It’s terrifying and hard to start those conversations, but I’ve found that people actually respond pretty well. I don’t think I realized just how many indie books are being published daily, weekly, and monthly. The book market is a tough, competitive market. I’m still working on how to deal with that. On a more traditional query path, I hope to have a project that’s ready for that by the end of this year. Then, I’ll be working on Indie publishing and querying traditional presses next year. Just keep writing. Just keep working. Create the best product you can. If you need editing help, get it. If you need cover design help, get it. If you need marketing help, get it. However, in all these areas, research first. Just because a place is offering an expensive service does not mean it is a good service. I’ve met authors who have spent $5,000 on services and have sold less than 100 books. That’s not a good investment return; and I know I don’t have that kind of money to waste. -For MG urban fantasy, I’m a fan of Jeff Chapman’s Give Me Your Teeth. The cover for it looks a little scary, but it’s a really sweet story about facing fears and bullies. -For speculative fiction which ranges the gamut of fantasy, sci-fi, space opera, and horror, I’m a fan of Milo James Fowler who is both Indie and traditionally published. His faith is presented a little bit more like Tolkien’s LOTR in the world-building, but it’s definitely there. Thank you so much for stopping by Tyrean! 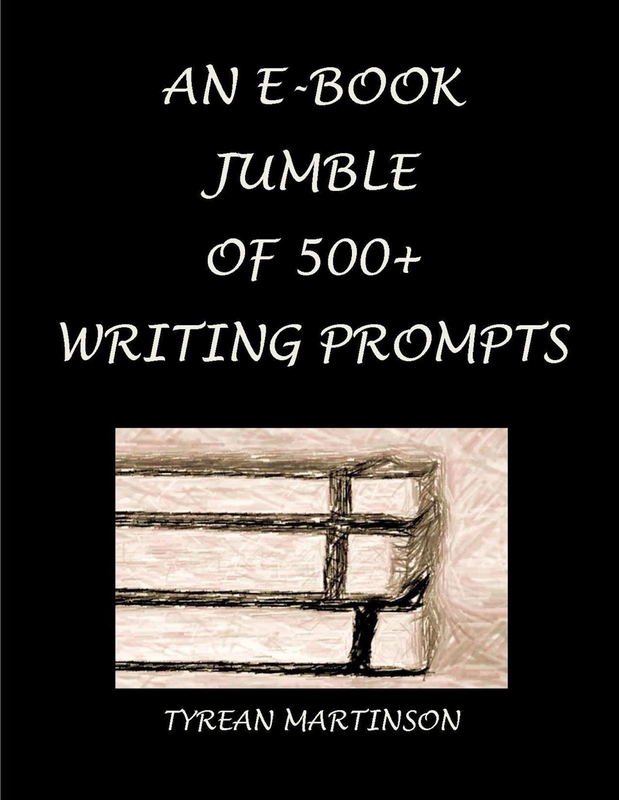 Not only did Tyrean take the time to answer my questions, she also offered, in addition to the $5 Amazon card we are giving out each week, a free e-copy of her book, A Jumble of 500+ Writing Prompts. To enter to win, please leave a comment on this post with your email address. Additional point given for following Tyrean’s blog, Everyday Writer, and Facebook page. Thanks for hosting me, Emily! Milo is a great writer all right. Yes, back up every single day! Don’t want to lose anything. Hi Tyrean! I was interested by what you said about Kobo’s audience. I’m expanding out of Kindle and I’ve heard about Kobo, but am not sure who shops at Kobo. Could you tell me? Thanks for the follow, Sarah! I know that Kobo is often showcased in independent bookstores, and when I talked to a local bookstore owner, she said that Kobo is the independent bookstore owners answer to the “ebook” question although independent bookstore owners don’t get a kickback from them. I’ve seen two local bookstores selling e-readers and promoting kobo over kindle and nook e-readers. So, for those few and far between readers who still shop at independently owned bookstores and don’t want to support the “huge” e-book sites, kobo is the “go-to” place for e-books. Still, most of these readers still read paperback and hardback books, so it’s a pretty small market. I sell one book on kobo every two months. However, I’m not in a position to turn away any sale and I want my books available to the most readers. That’s sad that Christian publishers aren’t interested in strong women. There were so many strong women in the Bible. Thanks for stopping by. The publishing world does tend to have certain bends it can’t get around some times. But maybe the more Indie writers we get out there, the more we can loosen some genres up. I think it really depends on the publisher and the definition of “strong” for them. Many feel that prayer and prophesying are strong enough, and I think that they are strong attributes, too, but I also feel that not all women fit that mold. It’s great to see Tyrean here! She has wonderful insight and experience. I’m taking notes for future reference. :) Wishing both you lovely writers all the best! Hugs and blessings! Thanks for stopping by, Karen! I really appreciate your kind words! How great to read more about Tyrean. She’s a great person, and I love her take on Christian Fantasy. I agree, let’s shake up the genres and free the markets for more creative and exciting books. Thank you for stopping by! Yes, if anything, the indie market has the potential to break apart the “tried and true” that is staring to get a bit worn. Thank you for stopping by, Heather! Marketing does tend to be the toughest part of the indie world but I’ve been hearing this complaint more and more from traditionally published authors as well. The market has changed so much I think everyone is having trouble adjusting.